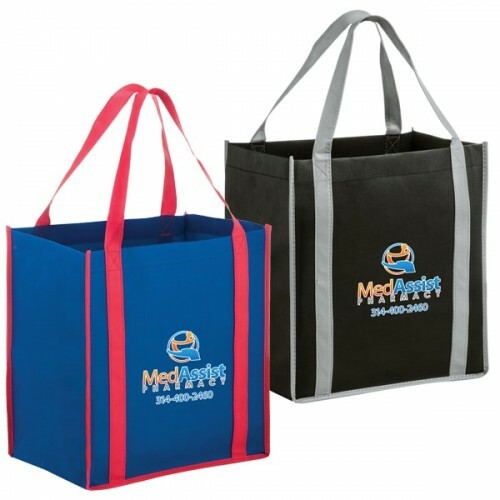 Our unique Elegant Exhibition Totes are screen-printed and are great reusable bags that you can use as a marketing initiative for your business. 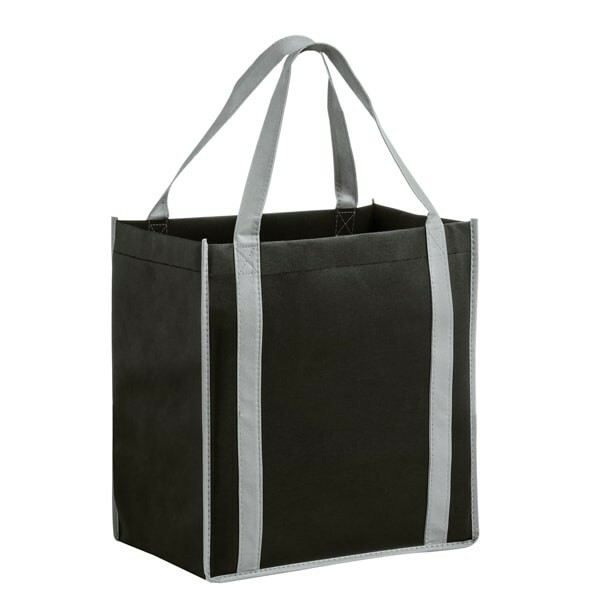 The bag is made with a Maxi-Weld seam that are strong machine-made seams versus the traditionally sewn seams you may see on other promotional tote bags. 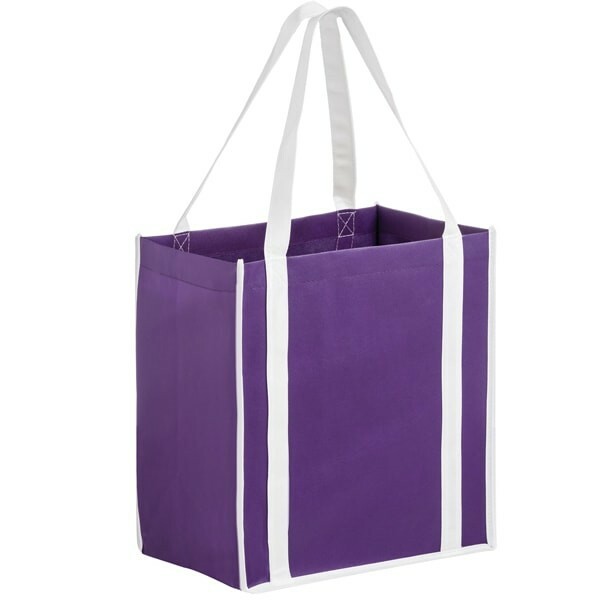 This unique seam structure creates an affordable alternative, and you’re still able to maintain the strength of a traditional seam. 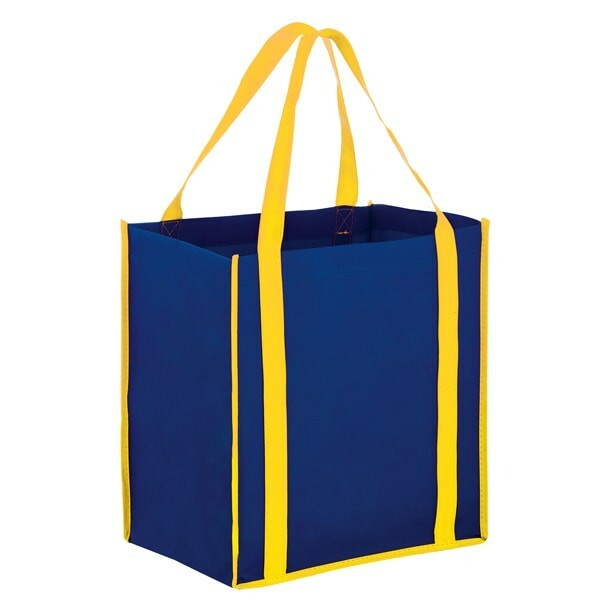 Containing 20% post-industrial recycled content. 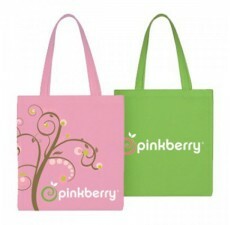 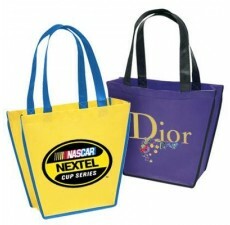 This bag can be customized to fit your needs with color and an imprint. 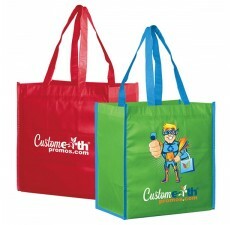 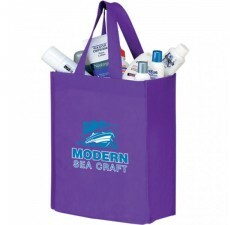 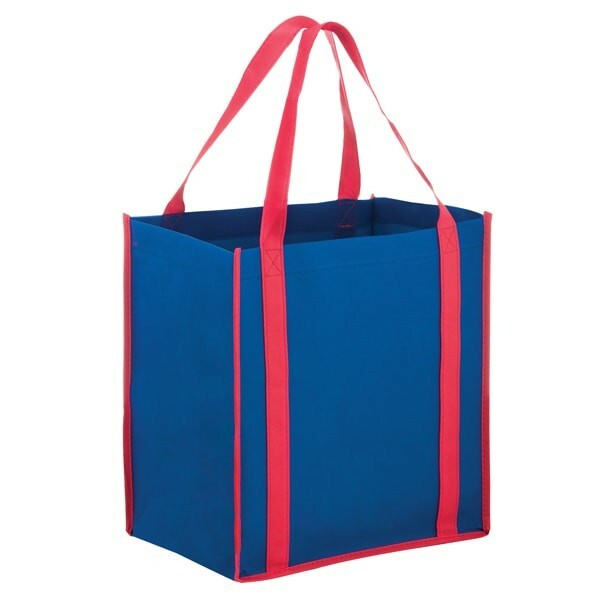 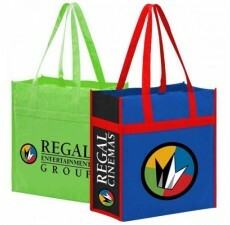 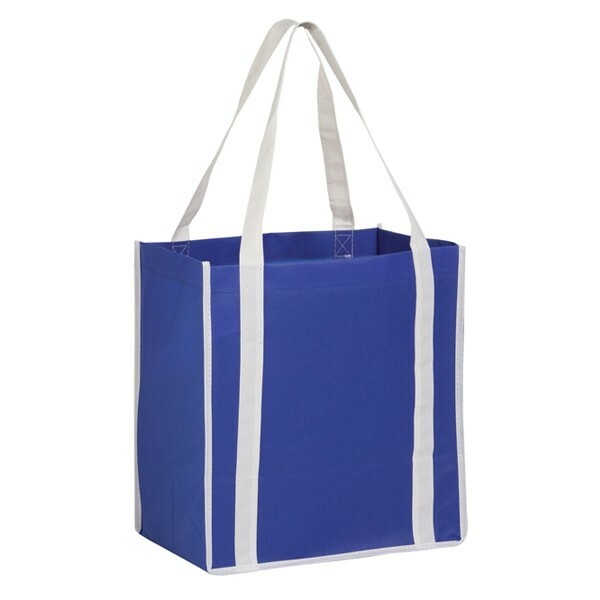 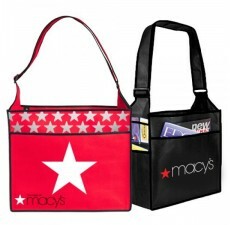 Contact Custom Grocery Bags with any customization, design or shipping questions.